This article has been published, without accompanying pictures, at the International Conference on Computational Creativity 2014. The original publication can be found here and its bibtex entry here. The talk was recorded and can be watched on Twitch. Computational creativity has traditionally relied on well-controlled, single-faceted and established domains such as visual art, narrative and audio. On the other hand, research on autonomous generation methods for game artifacts has not yet considered the creative capacity of those methods. In this paper we position computer games as the ideal application domain for computational creativity for the unique features they offer: being highly interactive, dynamic and content-intensive software applications. Their multifaceted nature is key in our argumentation as the successful orchestration of different art domains (such as visual art, audio and level architecture) with game mechanics design is a grand challenge for the study of computational creativity in this multidisciplinary domain. Computer games not only challenge computational creativity and provide a creative sandbox for advancing the field but they also offer an opportunity for computational creativity methods to be extensively assessed (via a huge population of gamers) through commercial-standard products of high impact and financial value. More than a decade of research in computational creativity (CC) has explored the study of autonomous generative systems in a plethora of domains including non-photorealistic art (Colton 2012), music (Wiggins et al. 1999), jokes (Binsted and Ritchie 1997), and stories (Peinado and Gervás 2006) as well as mathematics (Colton 2002) and engineering (Gemeinboeck and Saunders 2013). While commercial games have used computer generated artifacts such as levels and visuals since the early 1980s, academic research in more ambitious and rigorous autonomous game artifact generation methods, e.g. search-based procedural content generation (Togelius et al. 2011), is only very recent. Despite notable exceptions (Cook, Colton, and Gow 2013; Zook, Riedl, and Magerko 2011; Smith and Mateas 2011), the creation of games and their content has not yet systematically been explored as a computationally creative process. From a CC perspective, procedural content generation (PCG) in games has been viewed — like mathematics and engineering — as a potentially creative activity but only if done exceptionally well. The intersection of CC, game design and advanced game technology (e.g. PCG) opens up an entirely new field for studying CC as well as a new perspective for game research. This paper argues that the creative capacity of automated game designers is expected to advance the field of computational creativity and lead to major breakthroughs as, due to their very nature, computer games challenge computational creativity methods at large. This position paper contends that games constitute the killer application for the study of CC for a number of reasons. First, computer games are multifaceted: the types of creative processes met in computer games include visual art, sound design, graphic design, interaction design, narrative generation, virtual cinematography, aesthetics and environment beautification. The fusion of the numerous and highly diverse creative domains within a single software application makes games the ideal arena for the study of computational (and human) creativity. It is also important to note that each art form (or facet) met in games elicits different experiences to its users, e.g. game rules affect the player's immersion (Calleja 2011); their fusion into the final software targeting the ultimate play experience for a rather large and diverse audience is an additional challenge for CC research. Second, games are content-intensive processes with open boundaries for creativity as content for each creative facet comes in different representations, under different sets of constraints and often created in massive amounts. Finally, the creation (game) offers a rich interaction with the user (player): a game can be appreciated as an art form or for its creative capacity only when experienced through play. The play experience is highly interactive and engaging, moreso than any other form of art. Thus, autonomous computational game creators should attempt to design new games that can be both useful (playable) and deemed to be creative (or novel) considering that artifacts generated can be experienced and possibly altered. For example, the game narrative, the illumination of a room, or the placement of objects can be altered by a player in a game; this explodes in terms of complexity when the game includes user-generated content or social dynamics in multiplayer games. Another unique property of games is that autonomous creative systems have a long history in the game industry. PCG is used, in specific roles, by many commercial games in order to create engaging but unpredictable game experiences and to lessen the burden of manual game content creation by automating parts of it. Unlike other creative domains where computational creativity is shunned by human artists and critics (Colton 2008), the game industry not only "invented" PCG but proudly advertises its presence as a selling point. Diablo III (Blizzard 2012), which set a record by selling 3.5 million copies in the first 24 hours of its release, proudly states that "[previous] games established the series' hallmarks: randomized levels, the relentless onslaught of monsters and events in a perpetually fresh world, [...]". Highly awarded Skyrim (Bethesda 2011) boasts of its Radiant A.I. (which allows for the "dynamic reaction to the player's actions by both NPCs and the game world") and its Radiant Story (which "records your actions and changes things in the world according to what you have done"). The prevalence of e.g. level generators in games makes both developers and end-users acceptant of the power of computational creativity. Unlike traditional art media, where CC is considered more of an academic pursuit, PCG is a commercial necessity for many games: this makes synergies between game industry and CC research desirable as evidenced by Howlett, Colton, and Browne (2010). This paper introduces computational game creativity as the study of computational creativity within and for computer games. Games can be (1) improved as products via computational creations (for) and/or (2) used as the ultimate canvas for the study of computational creativity as a process (within). Computational game creativity (CGC) is positioned at the intersection of developing fields within games research and long-studied fields within computational creativity such as visual art and narrative. To position computational creativity within games we identify a number of key creative facets in modern game development and design and discuss their required orchestration for a final successful game product. The paper concludes with a discussion on the future trends of CGC and key open research questions. The creative facets of games identified in this article. Games are multifaceted as they have several creative domains contributing substantially to the game's look, feel, and experience. This section highlights different creative facets of games and points to instances of algorithmically created game content for these facets. While several frameworks and ontologies exist for describing elements of games, e.g. by Hunicke, Leblanc, and Zubek (2004), the chosen facets are a closer match to established creative domains such as music, painting or architecture. This section primarily argues that each facet fulfills Ritche's definition of a potentially "creative" activity (Ritchie 2007, p.71). Additionally, it uses Ritchie's essential properties for creativity, i.e. novelty, quality and typicality (Ritchie 2007) in terms of the goals of each creation process; whether these goals (or the greater goal of creativity) are met, however, will not be evaluated in this paper. As digital games are uniformly displayed on a screen, any game primarily relies on visual output to convey information to the player. Game visuals can range from photorealistic, to caricaturized, to abstract (Järvinen 2002). While photorealistic visuals as those in the FIFA series (EA Sports 1993) are direct representations of objects, in cases where no real-world equivalent exists (such as in fantasy or sci-fi settings) artists must use real-world reference material and extrapolate them to fantastical lengths with "what if" scenarios. 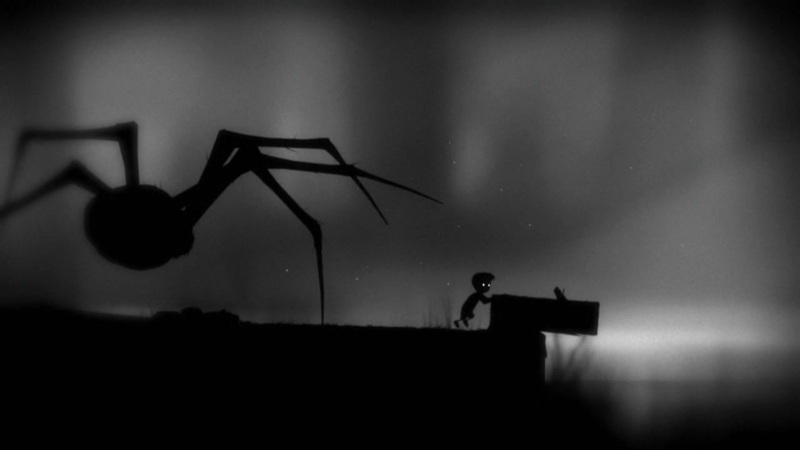 Caricaturized visuals often aim at eliciting a specific emotion, such as melancholy in the black and white theme of Limbo (Playdead 2010). Abstract visuals include the 8-bit art of early games, where constraints of the medium (low-tech monitors) forced game artists to become particularly creative in their design of memorable characters using as few pixels or colors as possible. 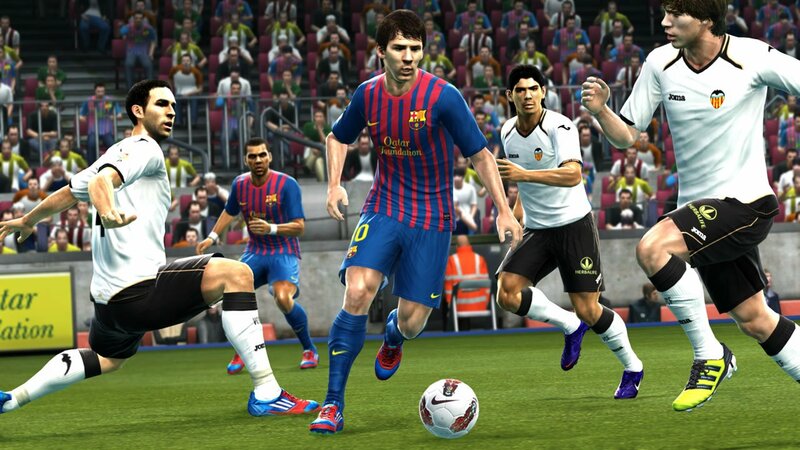 Accurately depicting football players is the main goal of the visuals in FIFA 2013 (EA Sports 2013). 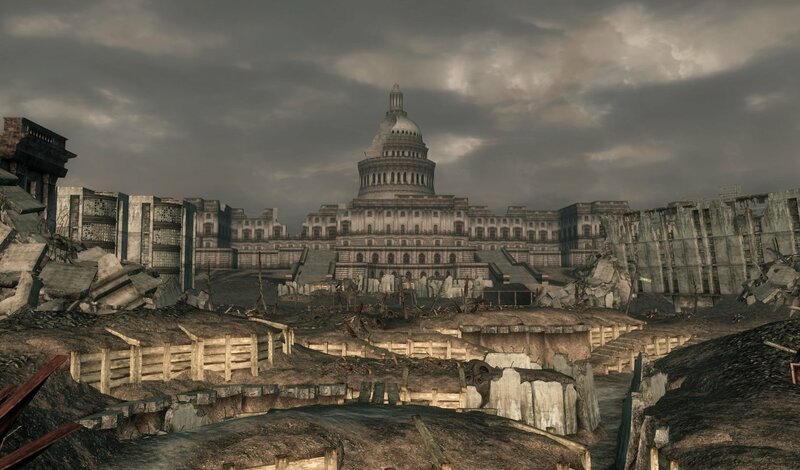 While still photorealistic, visuals in Fallout 3 (Bethesda 2008) are based on a hypothetical scenario revolving around the nuclear destruction of the American capital. Limbo (Playdead 2010) uses caricaturized visuals in black and white	to instill a sense of melancholy and helplessness for the player. In terms of computer generated visual output for games, the most commercially successful examples thereof are middleware which algorithmically create 3D models of trees with SpeedTree (IDV 2002) or faces with FaceGen (Singular Inversions 2001). Since such middleware are used by multiple high-end commercial games, their algorithms are carefully finetuned to ensure that the generated artifacts imitate real-world objects, targeting typicality in their creations. Games with fewer tethers in the real world can allow a broader range of generated visual elements. Petalz (Risi et al. 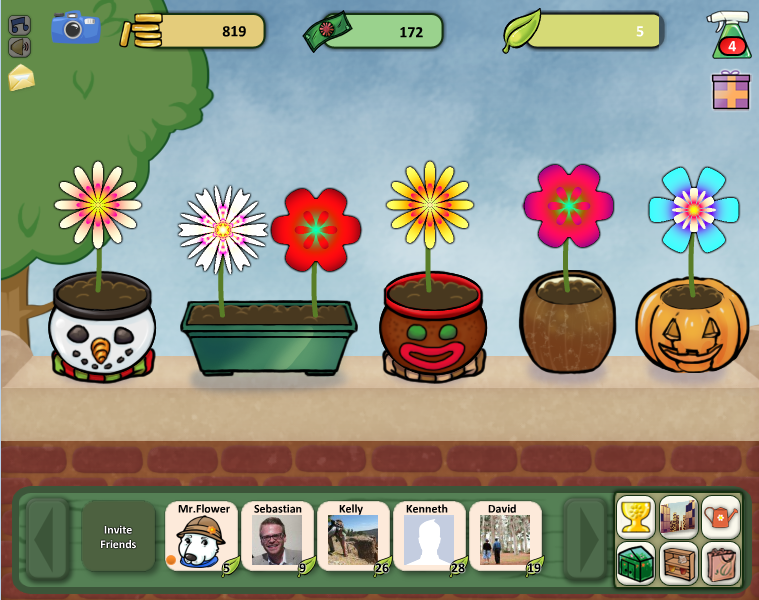 2012), for instance, generates colorful flowers which are the core focus of a flower-collecting game. 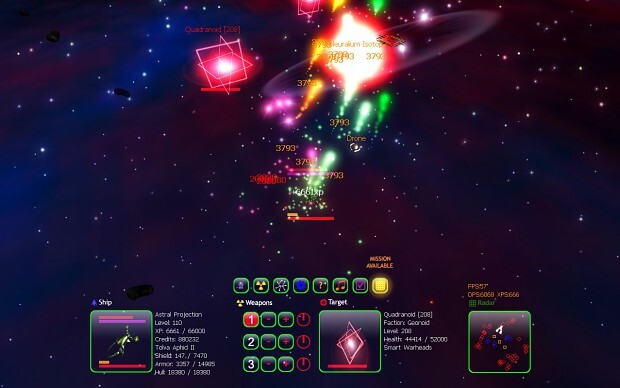 Galactic Arms Race (Hastings, Guha, and Stanley 2009), on the other hand, generates the colors and trajectories of weapons in a space shooter game. Both examples have a wide expressive range as they primarily target novelty, with uninteresting or unwanted visuals being pruned by the player via interactive evolution. In order to impart a sense of visual appreciation to the generator, Liapis, Yannakakis, and Togelius (2012) assigned several dimensions of visual taste inspired by cognitive research on "universal" properties of beauty (Arnheim 2004); the algorithm was able to evaluate generated spaceships based on size, simplicity, balance and symmetry and adjust the generative rules via artificial evolution. The model of visual taste could further be adapted to a human user, with visual properties prominent in chosen spaceships being targeted in the next evolutionary run. 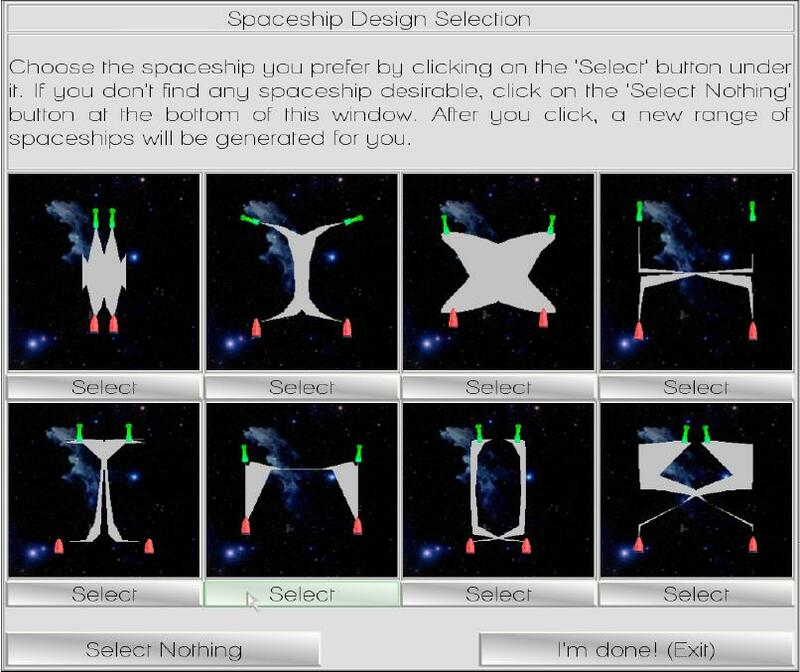 In terms of creativity, this spaceship generator targeted typicality via vertical symmetry and constraints on what constitutes a valid spaceship, as well as quality via the computational model of visual taste. Beyond generating in-game entities, Howlett, Colton, and Browne (2010) generate pixel shaders which substantially change the appearance of a game scene, pointing to a broad expressive range. The shaders' novelty is significant, while their quality is based on a user's a priori specification of target hues; however, the resulting scenes are often too bright and objects are hard to make out, pointing to a low typicality with traditional game shaders. Petalz (Risi et al. 2012) allows Facebook users to collaboratively evolve flowers. Galactic Arms Race (Hastings, Guha, and Stanley 2009) generates the color and trajectory of a spaceship's projectiles based on the number of times the weapon is used. Spaceship shapes evolved by Liapis, Yannakakis, and Togelius (2012) using a personalized model of the user's visual taste. Pixel shaders evolved by Howlett, Colton, and Browne (2010) according to user-specified hues. While often overlooked when discussing games, a game's audio is an important contributor to the overall experience; its recognition is demonstrated by two BAFTA Game Awards (music and sound) and, briefly, by a MTV Video Music Award for Best Video Game Soundtrack. Game audio usually includes background music such as the fully orchestrated soundtrack of Skyrim (Bethesda 2011), sound effects such as the pellet-eating sound from Pac-Man (Namco 1980) or the rewarding sounds of Bejeweled (Popcap 2001), and voice-acted dialogue which is deemed essential for largescale commercial games and often includes Hollywood names such as Liam Neeson in Fallout 3 (Bethesda 2008). 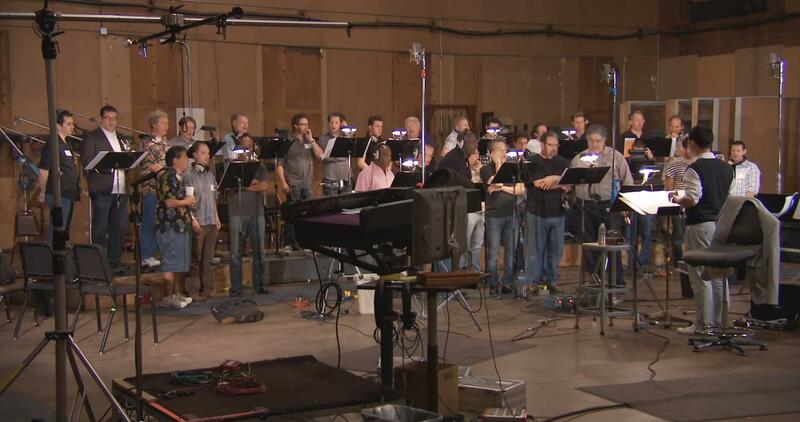 Jeremy Shoule composed the 'Dragonborn' piece for Skyrim (Bethesda 2011), performed by a choir of 30 people singing in the fictional language of dragons. 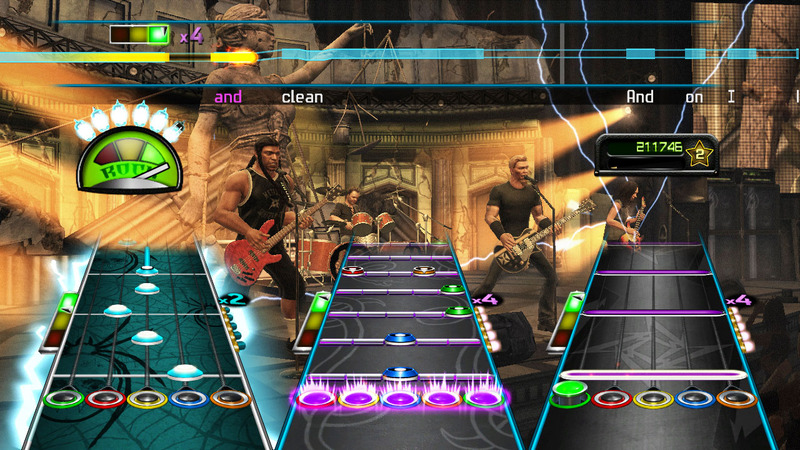 The Guitar Hero series not only includes famous songs, but also re-creates the avatars' appearance to match that of the original band. The above image is from Guitar Hero: Metallica (Activision 2009). 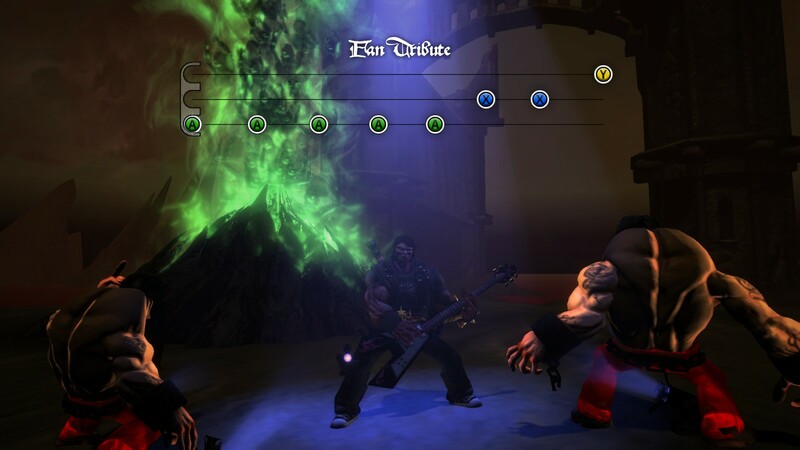 Brütal Legend (Double Fine 2009) featured tracks from 75 different heavy metal bands and included voice acting from Jack Black, Ozzy Osborne, Lita Ford, Rob Halford and Lemmy Kilmister. While the game industry is focusing on larger and more grandiose human productions for game audio, work on generated audio has seen several important developments in the last years, including the creation of the International Workshop on Musical Metacreation which has been, for 2012 and 2013, attached to the game-focused AIIDE conference. Apart from game sound effects such as those procedurally generated by sfxr and bfxr (both created by indie game developers), the generation of game audio is not much different than music generation outside of games. Collins (2009) goes as far as to consider sound effects caused by player actions or a tempo matching the game's difficulty level as procedural music which transforms the game's soundscape; this paper will not consider such a premise on the grounds that character animations similarly do not constitute a transformation of the game's visual experience. While synergies between facets such as audio and ludus will be discussed later, worth mention is the work of Brown (2012) in composing game soundtracks based on characters on display and the work of Houge (2012) in combining short musical phrases according to in-game events to create responsive background audio for a strategy game. Most, if not all, attempts to generate game audio rely on the synthesis of human-authored pieces, indicating that any creativity involved would be combinatorial. Berndt and Hartmann (2007) argue that such hybrid methods are preferable as they "leave the art creating process at the real artist, i.e., the human composer, and employ the machine beyond the humanly possible—the immediate adaptation in response to interactive events in a virtual environment". However, as research in music metacreation improves the aesthetic quality of generated results, more fundamentally creative methods for generating game audio are expected to become available in the future. Many successful games are applauded for their excellent narratives. Unlike traditional stories (including computationally created ones), however, the highly interactive nature of games necessitates the use of interactive storytelling (Crawford 2004). Due to the freedom of players to visit areas and interact with elements of the story in different orders, the creativity required of a game writer differs from that of an author or even a film director. Thus, evaluating the creativity (or simply the quality) of the game narrative depends not only on the beholder but also on the pieces of narrative experienced as well as their order and context. Like more traditional forms of narrative generation, the design of interactive storytelling relies heavily on a large database of world knowledge — both textual and logical. Games acclaimed for their narrative, such as Heavy Rain (Quantic Dream 2010) and Mass Effect (Bioware 2007), include thousands of lines of dialogue authored by multiple game writers. While game-like interactive narratives such as Façade (Mateas and Stern 2005) or Prom Week (McCoy et al. 2013) similarly include a large number of prewritten dialogues, the computer is much more proactive and selects a fitting response of a virtual character based on the context of the current discussion, the player's assumed knowledge and the future intended outcome. Since typicality is still a concern in such projects — for instance, Façade wants the game to tell a story of a couple with marriage problems — the novelty of the story's conclusion is often not exceptional, although the events leading to this conclusion may well be. Façade (Mateas and Stern 2005) allows players to converse with Grace and Trip, a couple experiencing marriage problems. Prom Week (McCoy et al. 2013) simulates the dynamics of American high schools and the conflicts which emerge from interactions between different cliques. However, the burden of imparting world knowledge to an interactive narrative system can be somewhat alleviated by directly using real world data to inform the creation process. Human-based computation can use previous user interactions, current world events or online encyclopedias in order to detect items of interest or logical connections between story elements. For instance, Orkin and Roy (2007) use a lexicon of actions and utterances from data of over 5000 players in a simple restaurant game to train virtual agents' verbal responses based on N-grams; of note is the evaluation of this machine learning method which required an audience of human judges to rate the agents' behavior in terms of typicality, i.e. whether they were likely to be heard in a restaurant. Swanson and Gordon (2012) created a co-operative storytelling system where human and computer take turns adding sentences to an emerging story; the computer analyzes the current story, matches it to a database of over a million stories from web blogs and uses the corresponding next sentences from the closest matching story. 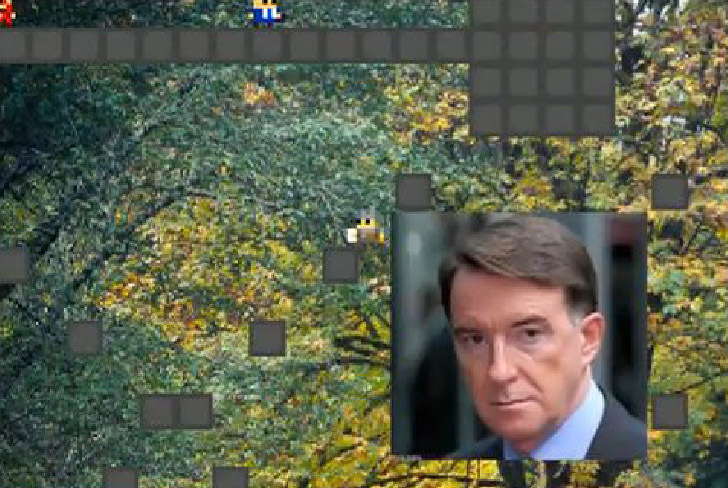 Cook, Colton, and Pease (2012) used current news items from an online news site as well as wikipedia images of their protagonists (tailored to the story's mood) in order to implicitly tell a story in the background of a platformer game. While games have the previous facets in common with other media, there are also those that are unique to games. The term Ludus, established by Caillois (1961) and elaborated by Frasca (1999), refers to an "activity organized under a system of rules that defines a victory or a defeat, a gain or a loss." The uniqueness of the ludic facet stems from the fact that rules define the limits of player freedom and pose as player goals; this allows room for creativity in defining the limits and goals of player interaction. A game's play experience is primarily defined by the game's rules. Rules provide the structures and frames for play (e.g. winning and losing conditions), as well as the game's mechanics, i.e. the actions available to the player. In commercial games, rules are carefully crafted by human game designers. More often than not, such rules follow the standards of the game's genre which constrains the creativity of the designers. While often a sequel to an established series has minor rule changes from its predecessors, there have been cases where a minor tweak in the rules has caused the literal transformation of a genre. An exemplar of this is a fan-made modification of the strategy game Warcraft III (Blizzard 2002) which removed base building and most unit control, allowing the user to control a single 'hero' unit; the resounding success of these tweaks has since given rise to a new, popular game genre: Multiplayer Online Battle Arenas. Variations Forever (Smith and Mateas 2010) constrains created games to be solvable using the generated rules. 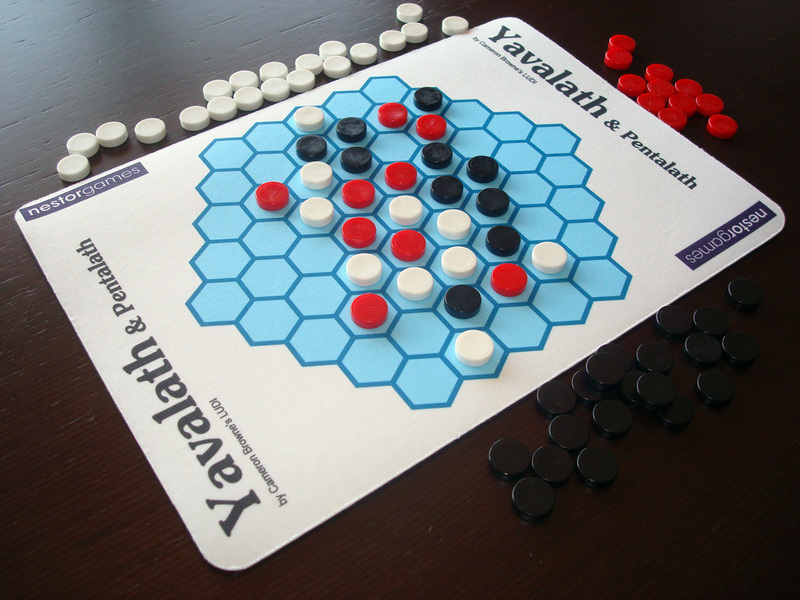 The Ludi system (Browne and Maire 2010) designed the rules and the board layout of the currently commercially available Yavalath (Nestor Games 2007). Several researchers have attempted to build systems that generate game rules; however, the challenges and affordances of such creativity are naturally different than for visuals or narrative. Early systems used grammar rewriting or similar methods to tweak rules of existing games. As an example, Metagame (Pell 1992) tweaked the rules of Chess in order to create a class of games for evaluating general game-playing AI; since the motivation was to create a class of games, Metagame targets typicality with the base game. Metagame, however, ensured the quality of generated results in part due to the existence of a well-formed, successful inspiring set (Chess) and in part due to human-authored specifications for changing rules in order to maintain fairness between players etc. More recent work targets quality in the form of constraints on playability: Smith and Mateas (2010) generate game rules which satisfy the constraint that the victory condition is attainable, without however evaluating how challenging or intuitive the path to victory is. Evaluating quality in terms of challenge or learnability of the generated rules necessitates that the game is somehow played: the score (or other metrics) of a simulated playthrough can be used as an objective function for evolutionary computation (Togelius et al. 2011). As an example, Togelius and Schmidhuber (2008) evolve rules for simple Pac-Man like games, evaluating the resulting games based on their learnability in simulated playthroughs; by assuming that good games are non-trivial but learnable, the system targets an arguably more elaborate measure of quality than constraints. A successful example of game rule generation is the Ludi system (Browne and Maire 2010) which generates complete two-player board games in the style of classic games such as Chess and Go; generated game rules and boards are evaluated via aesthetic measurements made during self-trials. Most games are built upon the spatial navigation of levels which determine how the player agent can progress from one point in the game to another. Some examples of levels include the two-dimensional arrangement of platforms and coins in Super Mario Bros (Nintendo 1985), the three-dimensional arrangement of houses, trenches and enemies in the World War 2 shooter Call of Duty (Infinity Ward 2003), the elaborate structures that the player tears down in Angry Birds (Rovio 2009), or the expansive open gameworld in Minecraft (Mojang 2011). A game's tone is often set by its levels and the challenges they pose; digital games often have a constant or near-constant set of mechanics throughout, but vary the gameplay and challenge through level design. 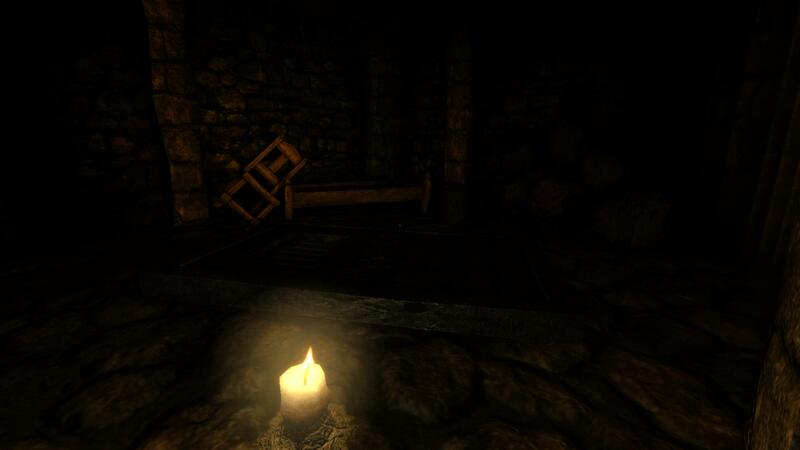 Amnesia: The Dark Descent (Frictional Games 2010) uses dim lighting in its levels to create the sense of terror which made the game so popular. 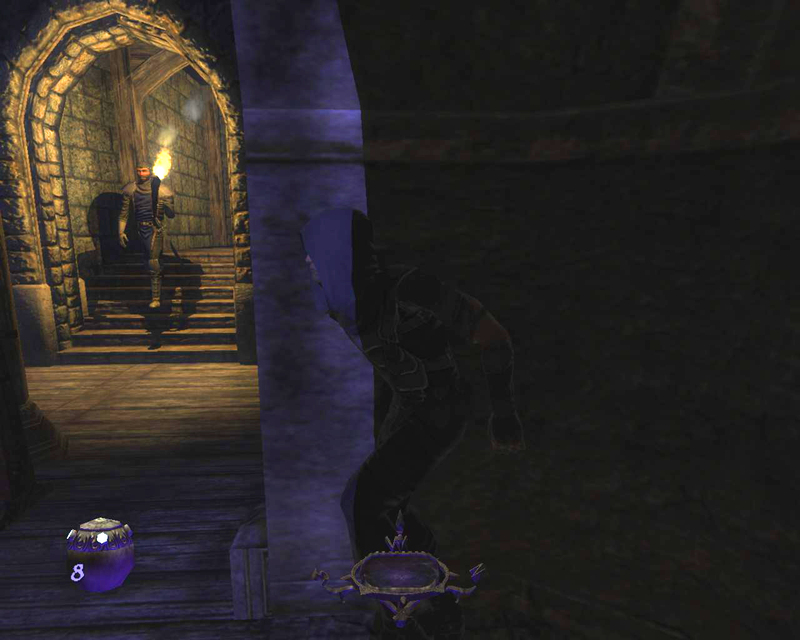 Thief 3: Deadly Shadows (Eidos 2004) uses levels with dim lighting to provide cover to the player's avatar, promoting the game's stealthy gameplay. Like real-world architecture, level design must take into account both visual impact and functional affordances of the artifacts it creates. Depending on the type of game, functional affordances may include a reachable end-goal for platform games such as Super Mario Bros, challenging gameplay for driving games such as Forza Motorsport (Turn 10 Studios 2005), or good action pacing with breathing room between difficult sections as in Resident Evil 4 (Capcom 2005). On the other hand, the level's appearance plays a significant role not only for the visual stimulus it provides but also for the purposes of navigation: a sequence of identical rooms can easily make the player disoriented as was intended in the dream sequences of Max Payne (Remedy 2001), while dark sections can add to the challenge level of the ludic elements due to low visibility as well as psychological anxiety as is the case of Amnesia: The Dark Descent (Frictional Games 2010). The design of larger, open levels or gameworlds borrows less from architecture and more from city planning (Lynch 1960), with edges to constrain player freedom, districts to break the level's monotony and landmarks to orient the player and motivate exploration. 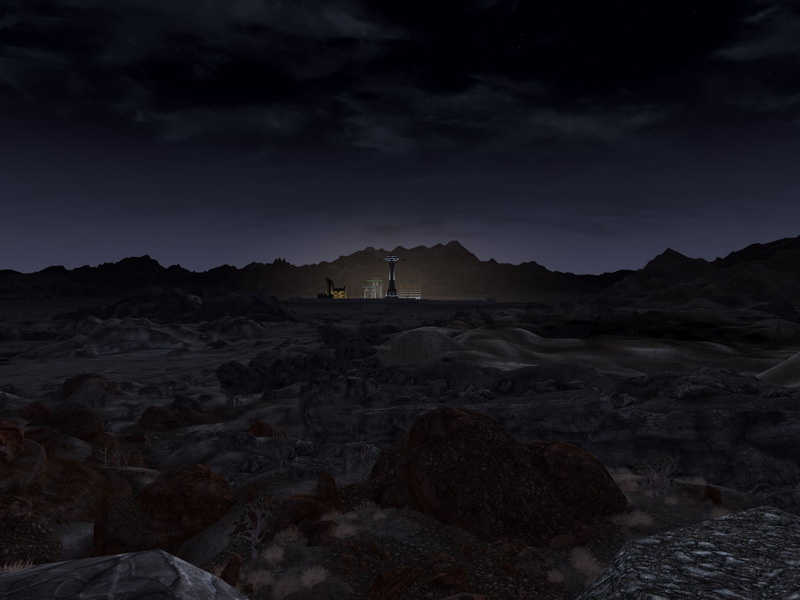 The constantly-lit New Vegas city becomes a constant landmark (especially at night), helping the avatar navigate the Mojave wasteland in Fallout: New Vegas (Bethesda 2010). 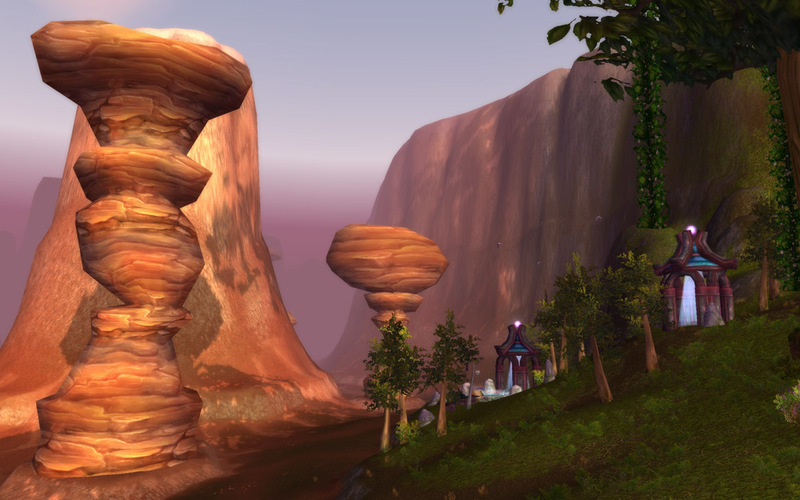 World of Warcraft (Blizzard 2004) uses highly contrasting colors, vegetation and architectural styles to split the world into districts which are suitable for characters of different level ranges. 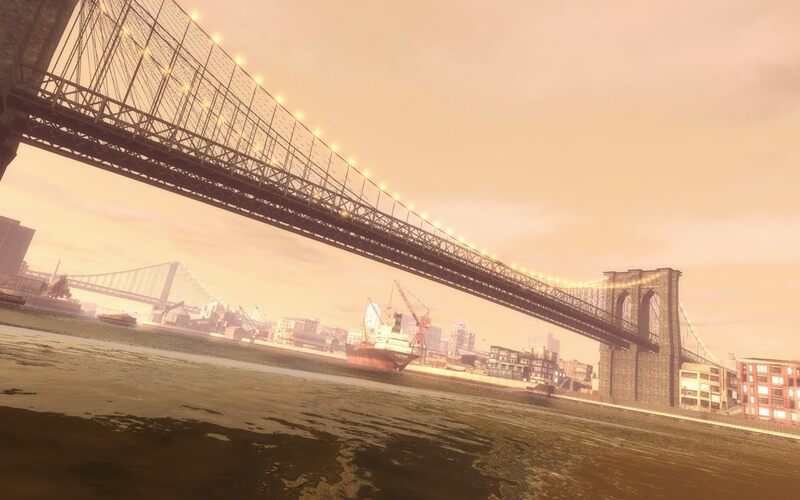 The waterfront of Liberty City in GTA IV (Rockstar North 2008) forms a natural edge which blocks the character from progressing to other regions until the game's main storyline progresses. Procedural generation of levels is one of the oldest and most popular commercial applications of autonomous creative systems. The sheer volume of levels required in modern games, and the unexpectedness of a fresh, unseen level motivate game companies to rely on PCG. Examples include the generated dungeons of Rogue (Toy and Wichman 1980), the world in the strategy game Civilization IV (Firaxis 2005) or the infinite gameworld in Minecraft. Overall, commercial level generators' extensive use of randomness often targets novelty more than quality. Generative algorithms used in commercial games are usually "constructive", i.e. do not evaluate the levels they produce. This is especially true in games where players can interact and change the world to their liking. 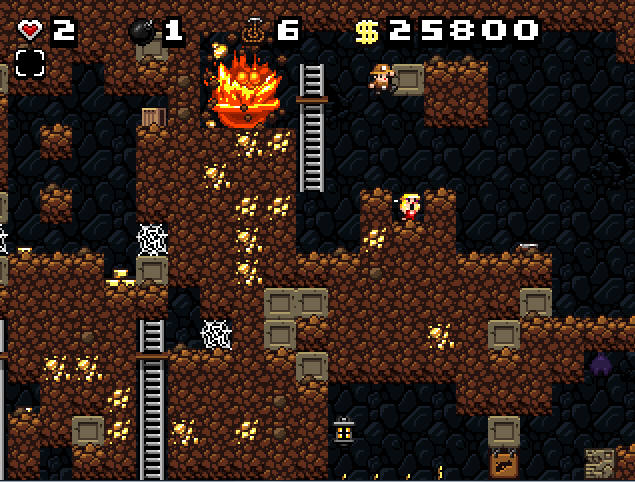 In Spelunky (Yu and Hull 2009), for instance, a player can "repair" a level where the exit can't be reached by blowing up the blocking tiles with in-game bomb items. A well-placed bomb can "repair" an unplayable procedurally generated level in Spelunky (Yu and Hull 2009). 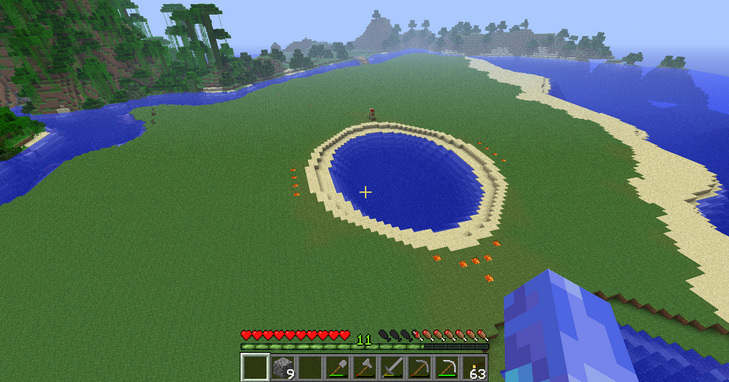 Shovels, pickaxes, axes or even bare hands can be used to flatten the procedurally generated terrain in Minecraft (Mojang 2011), allowing the player to construct buildings. Academic interest in procedural level generators is recent yet extensive, focusing more on the quality of the generated levels. Quality can be ensured via a narrow set of constraints on what constitutes a desirable level, with content which satisfies it generated via constraint solvers (Smith, Whitehead, and Mateas 2011), or mathematically defining a measure of level quality/aesthetics and optimizing it via evolutionary search. The level's ludic properties are more accurately estimated via simulated playthroughs of the level using the game's mechanics; Togelius, De Nardi, and Lucas (2007), for instance, used models of driving behavior learned from human playtraces to derive a quality measure for generated racing tracks. Liapis, Yannakakis, and Togelius (2013) target both quality and novelty in generated game levels with quality being ensured via playability constraints and novelty targeted explicitly as novelty search. Rocket jumping in Quake (id Software 1996) allows players to reach areas that were not designed to be accessible. While game design (ludus) and level design (architecture) are usually deemed creative activities in the development of the game's play experience, playing the game can also be a creative act. Players often exhibit considerable creativity in developing new strategies for playing the game. Well-constructed strategy games such as Starcraft (Blizzard 1998) see the player community develop new and deeper strategies over the course of years or decades. Devising such strategies often involves "thinking outside the box", such as the rush strategies in Starcraft which were outrageous to existing players. Some inventions even seem to go outside the spirit of the game (subversive play): as an example, players in Quake (id Software 1996) used rocket jumping (i.e. firing a rocket on the ground below them and thus damaging themselves) in order to propel themselves long distances and reach otherwise unreachable areas. The initial discovery of this technique among players should be considered highly creative as it is fortuitous and involves high risk due to the damage accrued by the blast; by the same account, an AI-controlled agent discovering such behavior should be considered highly creative as it breaks the constraints in terms of accessible locations in the level design and the balance of the game design. Creative gameplay would therefore seem to be an excellent domain for computational creativity. Except for puzzle/casual games or strictly multiplayer games, most games include artificial agents acting as enemies, e.g. in F.E.A.R. (Monolith 2005) or companions e.g. in Fable II (Lionhead 2008). Modern agent controllers rarely limit themselves to arguably uncreative processes such as tree search and in several cases learn from player actions as in Black & White (Lionhead 2001), adapt to opponents' strategies as in Endless Space: Disharmony (Amplitude Studios 2013) and even revise locomotion patterns to match custom creature physiologies in Spore (Maxis 2008). Such agent controllers often target typicality (i.e. human-likeness) in cases where believable behavior is the goal (e.g. for the 2K BotPrize competition), while others target quality (i.e. 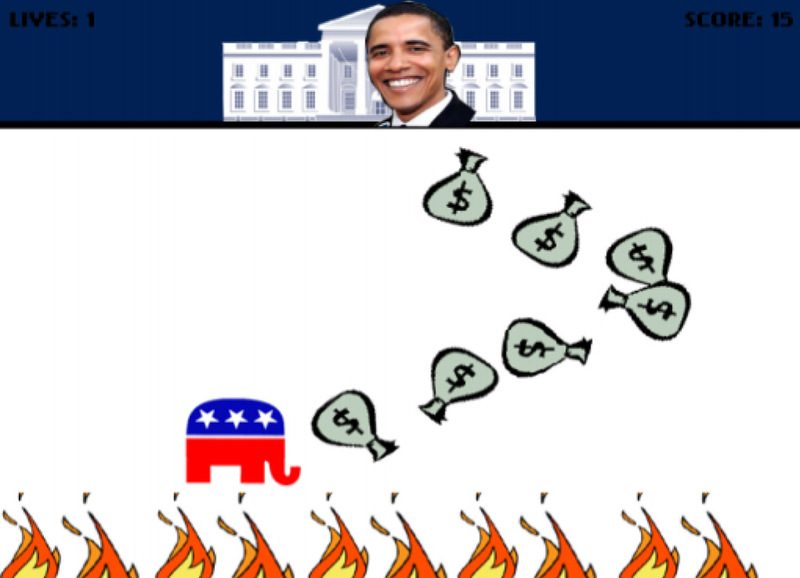 winning) in adversarial games (e.g. for Starcraft competitions). It is not uncommon for agent controllers to be of high quality but atypical: for instance, the A* agent that won the 2009 Mario AI competition performed well while playing the game in a distinctly non-human-like manner (Togelius, Karakovskiy, and Baumgarten 2010). While novelty is not often the explicit goal of such controllers, the particularities of e.g. evolutionary algorithms to find unexpected solutions have been harnessed to test games for "sweet spots" or "exploits", where progress can be made in a game without really playing it well. In the work of Denzinger et al. (2005) on the sports game FIFA, evolutionary computation found a number of rather too innovative ways of playing the game. Computational gameplay can also be used to test generated game rules; Cook et al. 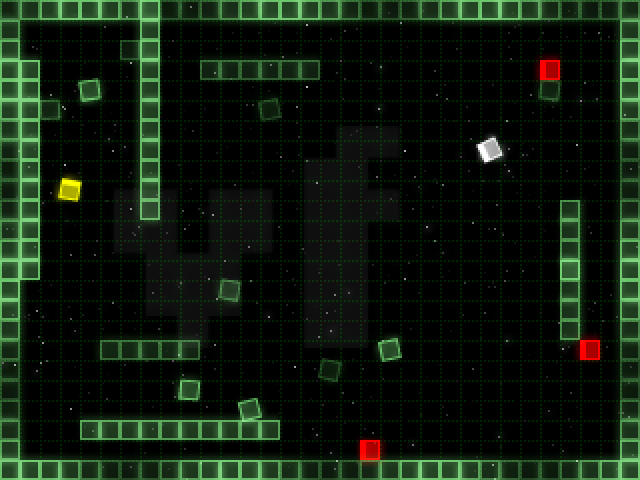 (2012) highlight a subversive artificial agent using the (generated) teleportation mechanic to teleport directly to the exit without playing the level. The previous section largely covered the different facets of creativity incorporated within games; as is usually the case, however, the whole is more than the sum of its parts. The interplay between the different facets and ultimately their fusion into what becomes the play experience is what makes games such a rich and challenging field for computational creativity. As an example of the interaction between facets, player actions (an element of ludus) are usually accompanied by a sound effect, such as the memorable sound of Mario jumping in Super Mario Bros. If an algorithm devises a new player action, it automatically constrains the sound effects that may accompany this action based on its duration or purpose. While action/sound (as a case of cause/effect) prioritizes the creation of one before the other, most interactions between facets are less one-sided: a game level is often memorable due to its visuals (such as the presence of a landmark) as much as it is due to the gameplay it affords, e.g. narrow corridors may elicit a claustrophobic feeling but may also facilitate aiming at incoming enemies. Game narratives especially rely on visuals, sound and ideally gameplay in order to be suitably experienced by the player. Computational game creativity needs to rise to the challenge of tackling the compound generation of multiple facets. So far, many of the game creation projects focus on a single creative facet of a game artifact and do not investigate the interaction between different facets. For instance, Togelius and Schmidhuber (2008) create rules for red, green or blue pawns, but the colors are used for visual identification and are not, for instance, indicators of aggressive (e.g. red) or passive (e.g. blue) behaviors. Although Liapis, Yannakakis, and Togelius (2011a) evolve the speed and combat prowess of spaceships along with their appearance (Liapis, Yannakakis, and Togelius 2011b), the latter does not inform the former (e.g. "spiky" spaceships are not more powerful/aggressive). Holtar, Nelson, and Togelius (2013) use a soundtrack to generate ludic elements (e.g. 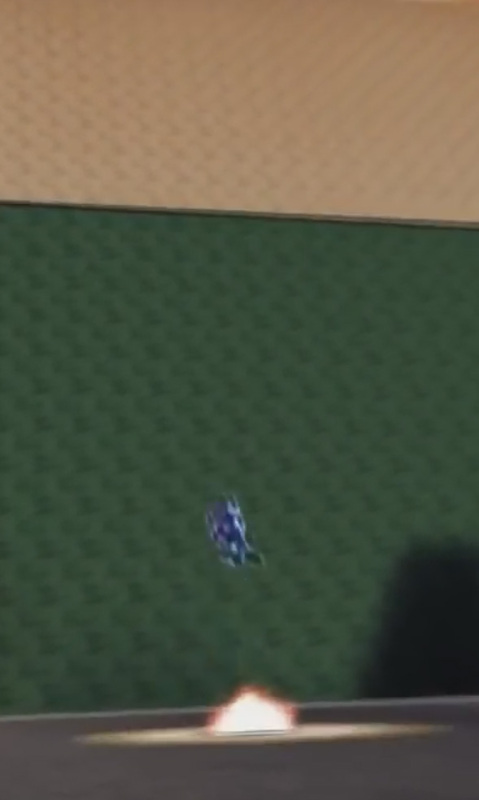 spawning enemies when a clap sample plays), while the sound effects from player actions influence the enemy behavior in the same way as the soundtrack; however, the soundtrack or sound effects are not tailored (at least not computationally) based on the potential gameplay they can create. Game-o-matic (Treanor et al. 2012) translates user-authored entities and their interactions into game visuals and game mechanics respectively, yet the mechanics do not take into account the visuals or semantics of the game objects they are applied on. Perhaps as the most elaborate example, platformer games generated by the system of Cook, Colton, and Pease (2012) use visuals and sounds that match a news story; however, the actual gameplay (such as the allowed player actions, level geometry or pacing) do not reflect the story's theme. The cited examples are by no means failings of the current early work in this domain; however, the unique blend of narrative, user interaction, visuals and audio within games makes them an ideal, if challenging, domain for creativity to simultaneously explore multiple dimensions. Game-o-matic (Treanor et al. 2012) allows users to super-impose political, social or philosophical rhetoric on traditional game mechanics and rules. Angelina (Cook, Colton, and Pease 2012) created "Conservation of Emily" by generating the level, choosing an appropriate background, accompanying images and sound effects related to the theme of illegal logging. Potential links which can tie the separate facets together include the game's intended emotion or message. The intended emotional effect of a game element can connect the visuals (Whitfield and Whiltshire 1990) with music (Scherer and Zentner 2001), while the text or dialogue of the story can be adjusted to match the affective goal (Veale 2013). The ludic elements can also be informed by the emotional effect, by e.g. making enemies' abilities more powerful or by adapting their behavior to favor sneaking up behind the player in cases where the intended emotion is fear. The intended message of a game can also connect visuals, music, story and even ludus by measuring the distance of different words in WordNet (Fellbaum 1998) or by discovering associations between the intended message and e.g. color in Google N-grams (Veale and Hao 2007). Cook, Colton, and Pease (2012) have made several breakthroughs in using associations of images and sounds with the message (and emotion) of news stories in generated games. The survey of the different facets of games and their interaction demonstrates that developing a game (via the different roles of graphic artist, sound designer, game designer or game writer) is perceived as a highly creative activity; by the broad definition of the term, a computer program should also be considered creative if it performed the same tasks. Not only that, but a game should be considered an artifact stemming from a "creative" activity (Ritchie 2007, p.71) as it falls into a large class (possibly including subclasses as game genres such as strategy games or shooters), with somewhat fuzzy boundaries (Karhulahti 2013), and with extensive human-based evaluations of quality. On the other hand, evaluating the type and level of creativity in game content generators is not straightforward and remains a challenging open research question. A number of methods for evaluating computational creativity have been proposed, and could potentially be applied to CGC. The notions of novelty, quality and typicality have already been mentioned as aims of different generators for different facets of games; a more methodological evaluation of whether these goals are met could be performed. Many PCG research papers include user surveys where game artifacts are evaluated by human users, although the dimensions on which they are evaluated are not a one-to-one match with those in CC research. Other theoretical frameworks such as the FACE model (Colton, Charnley, and Pease 2011) could also be used to evaluate the type of content generated. For instance, the commercial game generators which are finetuned to create e.g. realistic trees with SpeedTree perform creative acts of the form ‹Eg›, while evolutionary algorithms with indirect encodings such as genetic programming (Ashlock and McGuinness 2013) perform creative acts of the form ‹CgEg›. Special cases where the quality assessment is based on an artificial controller learning to play a generated game (Togelius and Schmidhuber 2008) perform creative acts of the form ‹AgCgEg›. More traditional categorizations such as those of combinatorial, exploratory and transformational creativity (Boden 1992) can also be applied to game content generators: for instance, the synthesis of game audio from sound samples would qualify as combinatorial creativity, while genetic search for optimal game content would qualify as exploratory creativity. The borders between these types of creativity are unclear, however, while transformational creativity can also be viewed as exploration as suggested by Wiggins (2006); the game asset generator of Liapis et al. (2013), for instance, blurs the edges between transformational and exploratory creativity. Computational game creativity challenges CC theory's methods for evaluating creativity for two complementary reasons: (1) games as multifaceted entities can not be treated as visual or musical artifacts alone, and (2) games as highly interactive experiences can not be evaluated by a human audience but by active human participants (i.e. players) who introduce their own creativity into that of the system. Evaluating compound game creativity which treats the game as a coherent entity and not the sum of its parts is a key research question which can potentially lead to breakthroughs in creativity research. A possible solution could include the links which tie different facets together: evaluating whether the generated game elicits the intended emotion or communicates the intended message could be a measure of its success, although such an evaluation method would not cater for creativity from ambiguity and serendipity. The interactive nature of games makes evaluating the creativity of the original designer (or computational creator) harder to disentangle from the player's creativity or even their perceived creativity. An elaborate level design can for instance be ignored because the player is too focused on surviving a difficult combat sequence. A game's narrative may not make sense when the story's elements or locales are visited in a different order than intended. More interestingly, the player's incomplete knowledge of the game — unlike an art critic who can literally see the big picture — may ascribe more causality and creativity to rather uncreative (i.e. random) events. Subversive play can also lead to a perception of creativity even when that was not expected by the (human or computational) creator: for instance, rocket jumping can be attributed to a player's creativity but also to a designer's creativity for adding the affordances for such subversive play in the game's physics. Finally, games where players are afforded significant agency, allowing them to alter the gameworld or make their own stories are even more challenging to evaluate intentional game creativity in vitro. As an example, the gameworld generative algorithms in Minecraft are relatively mundane, yet motivate players to fabricate their own goals. In such cases the creativity of a player meshes with that inserted explicitly into the game; it is likely necessary to include the machine/user as a unified entity when evaluating the creativity of such a game. Apart from evaluating the creativity of existing computational creators, designing new generators of game content geared towards computational creativity is another promising research area. Especially promising for game creativity are compound generators which can iteratively focus on different facets of games. Multi-agent systems could be used to simulate a game development team, with each agent generating different types of game content such as visuals, audio or levels. Each agent's creations could be used as inspiring sets or constraints for the other agents: e.g. generated concept art (visuals) can be used to inspire level design, or a new player action can constrain the sound effects which accompany it. Similar results could potentially be accomplished with co-evolution, where multiple populations evolve genotypes of content of different facets (e.g. level design and game rules). As an early example which does not include all facets, Cook, Colton, and Gow (2012) co-evolve different elements of game levels such as the placement of blocking tiles, powerups and enemies. The aesthetic qualities targeted by each population could be domain-specific (such as harmonic quality or visual impact), could be derived from competition or collaboration with other populations, or could be automatically generated to fit a frame or unifying "theme" for the game, such as an intended message or emotion. This paper introduced computational game creativity as the study of computational creativity within and for computer games, and provided several arguments as to why games as multifaceted, highly interactive art forms are ideal for computational creativity research. Elaborating on the different creative facets involved in the final play experience, the paper provided a short overview of current work in both game industry and game research on procedural content generation. The orchestration of these facets into a fully automatically generated game entity is a challenging future direction for CC research, and some early suggestions as to how it can all come together were listed. Other open questions for computational game creativity include the evaluation of game content generators using existing CC theory frameworks, the formulation of new frameworks that better account for the interactive and multifaceted nature of games, and the generation of new games encompassing more inclusive standards of appreciation. The research was supported, in part, by the FP7 ICT project C2Learn (project no: 318480) and by the FP7 Marie Curie CIG project AutoGameDesign (project no: 630665). Arnheim, R. 2004. Art and visual perception: a psychology of the creative eye. University of California Press, revised and expanded (2004) edition. Ashlock, D., and McGuinness, C. 2013. Landscape automata for search based procedural content generation. In Proceedings of the IEEE Conference on Computational Intelligence and Games. Berndt, A., and Hartmann, K. 2007. Strategies for narrative and adaptive game scoring. In Audio Mostly - 2nd Conference on Interaction with Sound. Binsted, K., and Ritchie, G. 1997. Computational rules for punning riddles. Humor - International Journal of Humor Research 10(1):25-76. Boden, M. 1992. The Creative Mind. London: Abacus. Brown, D. 2012. Mezzo: An adaptive, real-time composition program for game soundtracks. In Proceedings of the AIIDE Workshop on Musical Metacreation. Browne, C., and Maire, F. 2010. Evolutionary game design. IEEE Transactions on Computational Intelligence and AI in Games 2(1):1-16. Caillois, R. 1961. Man, Play and Games. University of Illinois Press. Calleja, G. 2011. In-Game: From immersion to incorporation. MIT Press. Collins, K. 2009. An introduction to procedural music in video games. Contemporary Music Review 28(1):15-51. Colton, S.; Charnley, J.; and Pease, A. 2011. Computational Creativity Theory: The FACE and IDEA models. In Proceedings of the 2nd International Conference on Computational Creativity. Colton, S. 2002. Automated Theory Formation in Pure Mathematics. Springer-Verlag. Colton, S. 2008. Creativity versus the perception of creativity in computational systems. In Proceedings of the AAAI Spring Symposium on Creative Systems. Colton, S. 2012. The painting fool: Stories from building an automated painter. In Computers and Creativity. Springer Berlin Heidelberg. 3-38. Cook, M.; Colton, S.; Raad, A.; and Gow, J. 2012. Mechanic miner: Reflection-driven game mechanic discovery and level design. In Proceedings of Applications of Evolutionary Computation, volume 7835, LNCS, 284-293. Cook, M.; Colton, S.; and Gow, J. 2012. Initial results from co-operative co-evolution for automated platformer design. In Proceedings of Applications of Evolutionary Computation, volume 7248, LNCS, 194-203. Springer. Cook, M.; Colton, S.; and Gow, J. 2013. Nobody's a critic: On the evaluation of creative code generators - a case study in video game design. In Proceedings of the 4th International Conference on Computational Creativity. Cook, M.; Colton, S.; and Pease, A. 2012. Aesthetic considerations for automated platformer design. In Proceedings of the AAAI Artificial Intelligence for Interactive Digital Entertainment Conference. Crawford, C. 2004. Chris Crawford on Interactive Storytelling. New Riders. Denzinger, J.; Loose, K.; Gates, D.; and Buchanan, J. 2005. Dealing with parameterized actions in behavior testing of commercial computer games. In Proceedings of the IEEE Symposium on Computational Intelligence and Games (CIG), 37-43. Fellbaum, C. 1998. WordNet: An Electronic Lexical Database. Language, Speech and Communication. MIT Press. Frasca, G. 1999. Ludology meets narratology: Similitude and differences between (video)games and narrative. Originally published in Finnish in Parnasso 1999: 3, 36571. Online: ludology.org. Accessed 28 Apr 2014. Gemeinboeck, P., and Saunders, R. 2013. Creative machine performance: Computational creativity and robotic art. In Proceedings of the 4th International Conference on Computational Creativity. Hastings, E. J.; Guha, R. K.; and Stanley, K. O. 2009. Automatic content generation in the galactic arms race video game. IEEE Transactions on Computational Intelligence and AI in Games 1(4):245-263. Holtar, N. I.; Nelson, M. J.; and Togelius, J. 2013. Audioverdrive: Exploring bidirectional communication between music and gameplay. In Proceedings of the 2013 International Computer Music Conference. Houge, B. 2012. Cell-based music organization in Tom Clancy's EndWar. In Proceedings of the AIIDE Workshop on Musical Metacreation. Howlett, A.; Colton, S.; and Browne, C. 2010. Evolving pixel shaders for the prototype video game subversion. In Proceedings of AISB'10. Hunicke, R.; Leblanc, M.; and Zubek, R. 2004. MDA: A formal approach to game design and game research. Järvinen, A. 2002. Gran stylissimo: The audiovisual elements and styles in computer and video games. In CGDC Conference. Karhulahti, V.-M. 2013. Puzzle is not a game! Basic structures of challenge. In Proceedings of DiGRA 2013. Liapis, A.; Martínez, H. P.; Togelius, J.; and Yannakakis, G. N. 2013. Transforming exploratory creativity with DeLeNoX. In Proceedings of the 4th International Conference on Computational Creativity. Liapis, A.; Yannakakis, G. N.; and Togelius, J. 2011a. Neuroevolutionary constrained optimization for content creation. In Proceedings of the IEEE Conference on Computational Intelligence and Games, 71-78. Liapis, A.; Yannakakis, G. N.; and Togelius, J. 2011b. Optimizing visual properties of game content through neuroevolution. In Proceedings of the AAAI Artificial Intelligence for Interactive Digital Entertainment Conference. Liapis, A.; Yannakakis, G. N.; and Togelius, J. 2012. Adapting models of visual aesthetics for personalized content creation. IEEE Transactions on Computational Intelligence and AI in Games 4(3):213-228. Liapis, A.; Yannakakis, G. N.; and Togelius, J. 2013. Enhancements to constrained novelty search: Two-population novelty search for generating game content. In Proceedings of Genetic and Evolutionary Computation Conference. Lynch, K. 1960. The Image of the City. MIT Press. Mateas, M., and Stern, A. 2005. Procedural authorship: A case-study of the interactive drama façade. In Digital Arts and Culture. McCoy, J.; Treanor, M.; Samuel, B.; Reed, A. A.; Wardrip-Fruin, N.; and Mateas, M. 2013. Prom week. In Proceedings of the International Conference on the Foundations of Digital Games. Orkin, J., and Roy, D. 2007. The restaurant game: Learning social behavior and language from thousands of players online. Journal of Game Development 3(1):39-60. Peinado, F., and Gervás, P. 2006. Evaluation of automatic generation of basic stories. New Generation Computing 24(3):289-302. Pell, B. 1992. Metagame in symmetric, chess-like games. In Heuristic Programming in Artificial Intelligence 3: The Third Computer Olympiad. Ellis Horwood. Risi, S.; Lehman, J.; D'Ambrosio, D. B.; Hall, R.; and Stanley, K. O. 2012. 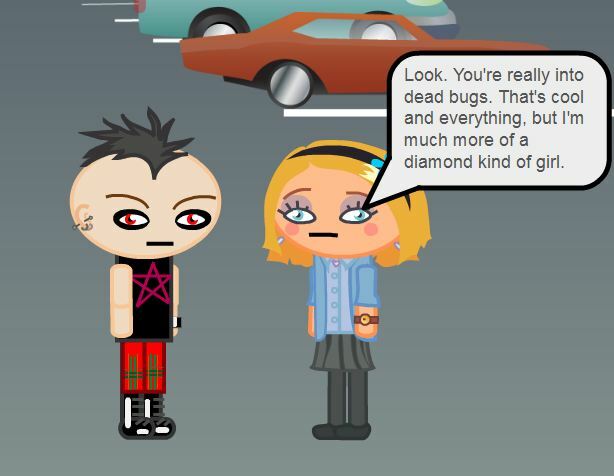 Combining search-based procedural content generation and social gaming in the petalz video game. In Proceedings of the Artificial Intelligence and Interactive Digital Entertainment Conference. Ritchie, G. 2007. Some empirical criteria for attributing creativity to a computer program. Minds and Machines 17:76-99. Scherer, K. R., and Zentner, K. R. 2001. Emotional effects of music: Production rules. Oxford University Press. chapter 16, 361-392. Smith, A. M., and Mateas, M. 2010. Variations forever: Flexibly generating rulesets from a sculptable design space of mini-games. In Proceedings of the IEEE Symposium on Computational Intelligence and Games (CIG). Smith, A. M., and Mateas, M. 2011. Knowledge-level creativity in game design. In Proceedings of the 2nd International Conference on Computational Creativity. Smith, G.; Whitehead, J.; and Mateas, M. 2011. Tanagra: Reactive planning and constraint solving for mixed-initiative level design. IEEE Transactions on Computational Intelligence and AI in Games (99). Swanson, R., and Gordon, A. S. 2012. Say anything: Using textual case-based reasoning to enable open-domain interactive storytelling. ACM Transactions on Intelligent Interactive Systems 2(3). Togelius, J., and Schmidhuber, J. 2008. An experiment in automatic game design. In IEEE Symposium on Computational Intelligence and Games. Togelius, J.; Yannakakis, G.; Stanley, K.; and Browne, C. 2011. 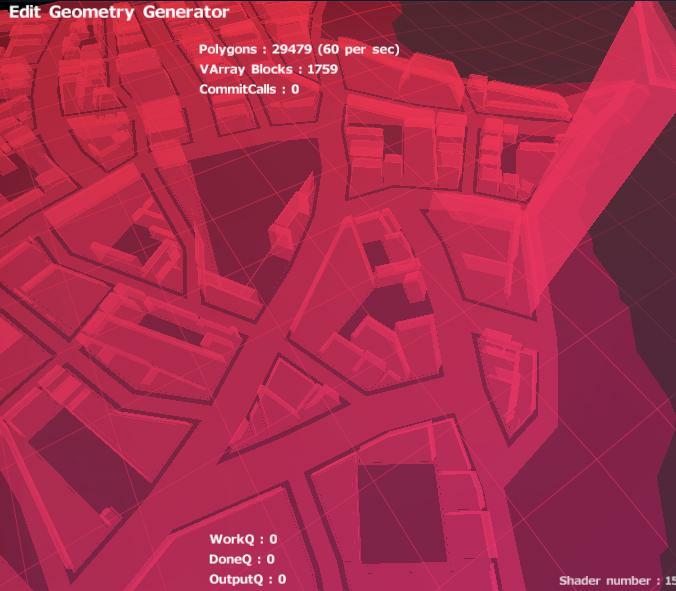 Search-based procedural content generation: A taxonomy and survey. IEEE Transactions on Computational Intelligence and AI in Games 3(3):172-186. Togelius, J.; De Nardi, R.; and Lucas, S. 2007. Towards automatic personalised content creation for racing games. In Proceedings of IEEE Symposium on Computational Intelligence and Games, 252-259. Togelius, J.; Karakovskiy, S.; and Baumgarten, R. 2010. The 2009 Mario AI competition. In Proceedings of the IEEE Congress on Evolutionary Computation (CEC). Treanor, M.; Blackford, B.; Mateas, M.; and Bogost, I. 2012. Game-o-matic: Generating videogames that represent ideas. In Procedural Content Generation Workshop at the Foundations of Digital Games Conference. Veale, T., and Hao, Y. 2007. Comprehending and generating apt metaphors: A web-driven, case-based approach to figurative language. 1471-1476. Veale, T. 2013. Once more, with feeling! Using creative affective metaphors to express information needs. In Proceedings of the 4th International Conference on Computational Creativity. Whitfield, T. W., and Whiltshire, T. J. 1990. Color psychology: A critical review. Genetic, Social, and General Psychology Monographs 116(4):385-411. Wiggins, G.; Papadopoulos, G.; Phon-Amnuaisuk, S.; and Tuson, A. 1999. Evolutionary methods for musical composition. International Journal of Computing Anticipatory Systems. Wiggins, G. A. 2006. A preliminary framework for description, analysis and comparison of creative systems. Knowledge-Based Systems 19(7):449-458. Zook, A.; Riedl, M. O.; and Magerko, B. S. 2011. Understanding human creativity for computational play. In Proceedings of the 2nd International Conference on Computational Creativity. The accompanying images have been used, without permission of the original creators, for the purposes of commentary relating to the topics of the article. The games displayed in the screenshots are clearly designated in the captions, and no copyright infringement is intended. No monetary profit was made from this article.